Balloon Padding is a process which is required to remove the crinkles that has occurred because of the dyeing process in the Fabric. When the knitted fabric is fed in to balloon padding machine, the machine folds the knitted fabric neatly using the heat from the steam it produces. 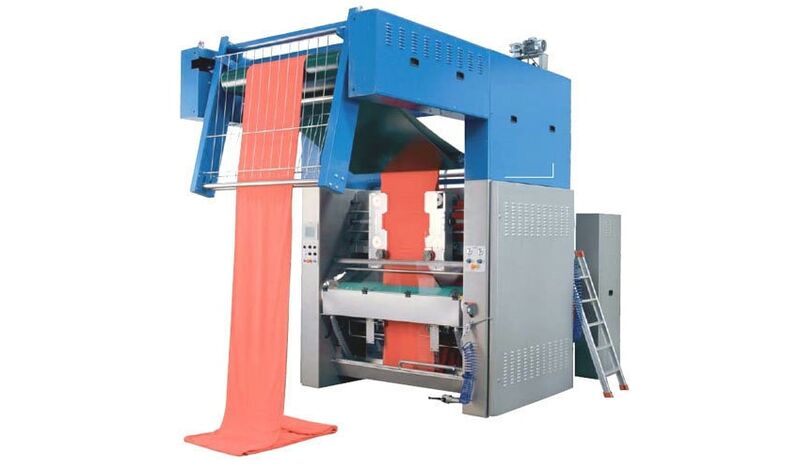 Balloon Padding Machines are used for continues untwisting, untangling, draining, spreading and wet compacting of knitted fabrics in a single process. This process also in their extended form of draining and wet-on-wet impregnating, overstretching and wet compacting.